"The young guns now dominate and four of the last five winners have been in their 20s. And Kisner was only 31 when he won three years ago but with distance irrelevant this is still a tournament that gives the old guys a chance and outsiders have a great record." The RSM Classic, formerly known as the McGladrey Classic, was first staged as recently as 2010 so this is just the ninth renewal. Originally staged at the Seaside Course alone, the event became a two-course tournament three years ago, leading to an increased field size. Competitors will play both the Plantation Course and the Seaside Course in rotation over the first two days, with the Seaside Course being used for both the third and fourth rounds after the cut. Although we still have the World Cup of Golf (next week), the Tiger Woods v Phil Mickelson match (in a fortnight), the Hero World Challenge (in three weeks) and the QBE Shootout (in four weeks), this is the final full-field PGA Tour event of the year. Sea Island Resort (Seaside), Sea Island, Georgia. Originally designed by Walter Travis in 1926, the Plantation Course was renovated in 1998 by Rees Jones, who described the course as "parkland by the sea". At just a little over 7,000 yards and described as having expansive fairways, I thought the Plantation would yield lower scores than it did when it was first introduced to the event but with water in play on 10 holes, it's perhaps not surprising that it hasn't been a complete pushover. Originally made up of two separate nine hole courses - a 1929 Colt and Alison classic and a Joe Lee 1973 creation called the Marchside Nine, the Seaside Course was created in 1999 when Tom Fazio combined the two. Positioned right on the southern tip of St. Simons Island this sea-side links style Bermuda grass course is susceptible to very windy conditions and very different to the parkland style Plantation Course. Here's a look at how the two courses have scored over the first two days over the last three years. The Plantation Course averaged 70.81 over the first two rounds in 2015, which equated to 1.19 strokes under-par and the Seaside Course averaged 69.62, which equals 0.38 under-par so the Plantation Course played 0.81 of a stroke easier over the course of the two days three years ago. In 2016, the Plantation Course averaged 69.06 on Thursday and 70.46 on Friday, so a combined total of 4.47 under-par. The Seaside Course averaged 68.29 and 68.06, which adds up to a combined 3.64 under-par so the difference between the two courses over the first two days was just 0.83. Last year, the Plantation Course averaged 70.54 (1.46 under-par) over the first two rounds and the Seaside averaged 69.52 (0.48 under-par), so at 0.98, the difference last year was marginally greater than it was in both 2015 and 2016 but it really is negligible and less than half a stroke a day. The Plantation is only marginally easier (in relation to it's par) than the Seaside and not sufficiently so to provide a draw bias angle in. Live on Sky Sports all four days, beginning on Thursday at 18:30, but all coverage will be behind the red button with the LPGA Tour's CME Tour Championship taking precedence throughout the week. What Will it Take to Win the RSM Classic? Length off the tee is absolutely irrelevant this week. The 2015 winner, Kevin Kisner, ranked 53rd for Driving Distance, the 2016 winner, Mac Hughes, was even shorter, ranking only 57th, and last year's winner, Austin Cook, very nearly hit the tournament average when he ranked 39th. Over the first eight years, the average DD ranking of the eight winners is 37.5. Accuracy is more important from the tee. Kisner ranked 17th, Hughes 11th and Cook fourth, and the average Driving Accuracy ranking of the eight winners to date is 24. And here are the average rankings for all the other key stats for the eight tournament winners to date. Cook putted well last year but not as well as the previous winners. Cook had a Putting Average ranking of 11th whereas Kisner and Hughes both ranked number one for PA but all three made more birdies than anyone else so it's basically a putting competition for those that can handle the Bermuda greens. Cook is from Arkansas and the 2016 winner, Hughes, is Canadian but the locals do well here. Kisner went to University in Georgia and he lives in the neighbouring state of South Carolina. The 2013 winner, Chris Kirk, who said he'd played the Seaside Course at least one hundred times previously when he won, and inaugural winner, Heath Slocum, both live in Georgia and a number of players that have gone close in the event have a connection with the area. The problem with looking for the local angles is that you'll find plenty of them. Tournament host and Ryder Cup captain, Davis Love III, has been instrumental in getting this event up and running and he's also been the driving force behind making Sea Island a place professionals want to live and work. If you're looking for courses that correlate well with the Seaside Course, you're spoilt for choice. Look at form at three other par 70 Bermuda tracks - Waialae Country Club, home of the Sony Open in Hawaii, Colonial Country Club, venue of the Fort Worth Invitational (Kisner won the Fort Worth last year after winning here in 2015 and Kirk doubled up in 2013 and 2015 too) and TPC Southwind, which hosts the St. Jude Classic but the two I like best are the par 71 Harbour Town Links in neighbouring South Carolina, which has hosted the RBC Heritage since its inception in 1969, and PGA National - home of the Honda Classic since 2007. The first three winners of this tournament all had a top-six finish in the RBC Heritage and an ever-increasing number of players have performed well in both this event and the Honda Classic. One of the four men to be beaten in the playoff two years ago, Camilo Villegas, romped to a five-stroke victory at the Honda in 2010. Experienced pros bossed the tournament to begin with but each of the last four winners, and five of the last six, have been first-time winners on the PGA Tour and the last two were PGA Tour rookies. In fact, the last two winners had remarkably similar profiles. Cook was playing in his 14th PGA Tour event with a World Ranking of 302 and Hughes was playing in his ninth with a ranking of 287. The young guns now dominate and four of the last five winners have been in their 20s. And Kisner was only 31 when he won three years ago but with distance irrelevant this is still a tournament that gives the old guys a chance and outsiders have a great record. Having finished fourth here in 2014 and runner-up in his previous start, Kisner went off at around the 20/1 mark two years ago but he was by far the shortest winner of the tournament to date. The first two winners, Heath Slocum and Ben Crane, both went off at around [60.0] to [70.0] and the 2013 winner, Chris Kirk, was a similar price, going off at [50.0], having been matched at a high of [60.0]. 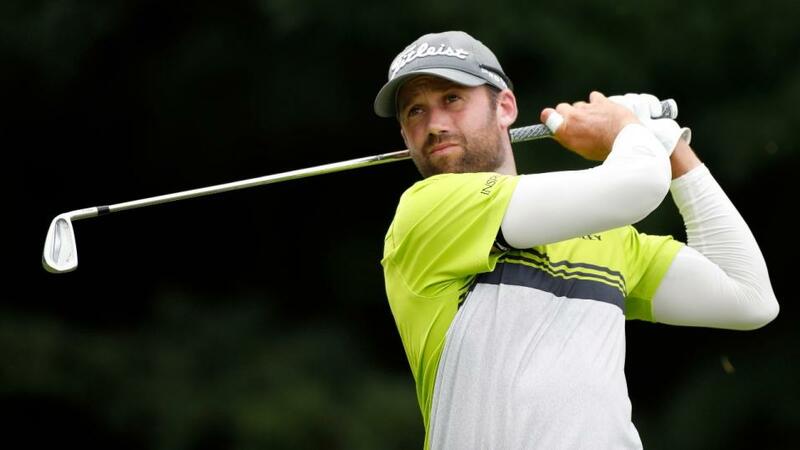 Very few backed the 2012 winner, Tommy Gainey, Robert Streb was matched at [110.0] in 2014. Cook was an unexpected winner, matched at [160.0] before the off 12 months ago and the four playoff protagonists that made it through to Monday's playoff in 2016 were all big-priced outsiders. The winner, Hughes, was matched at [600.0] before the off (and again in the playoff! - see below) Villegas was matched at [280.0] before the off, Henrik Norlander was a [450.0] shot and Blayne Barber was backed at [500.0]. Chris Kirk, who eventually finished fourth, was matched at [2.0] when he got to within a stroke of Cook in round four last year but instead of applying more pressure, he completely messed up the par five seventh, recording a bogey six having been just 39 yards from the hole in two, and although J.J Spaun briefly challenged (hit a low of [2.6]) Cook was able to coast home impressively for a comfortable four-stroke win. If you enjoy backing an outsider on a Sunday evening who could just put in a charge form off the pace, then this is most definitely the event for you. We've only had eight renewals but already we've seen winners come from five off the pace (twice) and from seven strokes back with a round to go. Like the last three winners, Heath Slocum won the inaugural event from the front after round three but Ben Crane came from five shots back to win in 2012 and a year later, Tommy Gainey hit 60 in round four to win by a stroke, having trailed by seven after 54 holes! Robert Streb began the fourth round trailing by five strokes and trading at [110.0] before he went on to win in 2014 and 12 months earlier, Tim Clark very nearly did the same thing. He also began round four trading at a triple figure price and five off the lead and he was matched at just [4.0] after he'd shot a final round of 62 (one better than Streb and Crane). He would have made a playoff had Kirk not birdied the penultimate hole. With three of the first eight renewals going to extra time, a tight and dramatic finish can be expected but I'll be amazed if we get anything quite as bizarre as the finish to the 2016 tournament. As darkness fell, Billy Horschel eliminated himself on Sunday with this unbelievably bad putt on the 18th green before Monday saw a simply crazy conclusion. Incredibly, Hughes won the event at the third extra hole, despite never finding the par three 17th green! All four remaining playoff protagonists missed the green completely and Hughes was somehow matched at [600.0] when his second shot still failed to make the dancefloor but his three rivals all failed to get-up-and-down for par after the Canadian holed out from just off the green for par. Webb Simpson heads the market and rightly so - it's not hard to make a strong case for the Players champion, who already has a fair record here. Webb withdrew at the halfway stage last year to be with his dying father so it might prove to be a poignant week for the 2012 US Open winner but if that isn't too much of a mental distraction, this is a course that suits him. Simpson lost a playoff to Ben Crane here in 2011 and he was seventh in 2013 so we know the track suits and he's been in decent form of late too. He's a worthy favourite. Cameron Champ was a fraction disappointing last weekend having manoeuvred himself in to contention at the halfway stage in Mexico. Whether this is the right track for him to maximise the advantage of his prestigious long game is debatable and even though he's only 23, this is his third week in-a-row competing since he won the Sanderson farms Championship and mental and physical fatigue can't be entirely ruled out. He also missed the cut here on debut 12 months ago so I'm more than happy to swerve him. It's very easy to make a case for J.J Spaun, who has both course and current form but he looks plenty short enough for me given he's yet to win and given he blew a great chance to do so at the Shriners last year. On paper he has a fair chance but he looks too short to me. And the same can be said about C.T Pan, who's also in search of his first PGA Tour title. Given the recent results and trends here, I wanted to get a couple of hot-putters onside and if they were young then all the better. Sam Ryder and Ben Silverman are both onside and I've got one or two other bets on youngsters I'm still trying to get matched. I'll update Twitter if and when that happens. Although youngsters have dominated of late, it's clear that this track is accessible to the older and shorter pros and the one I really like this week is Ryder Cup captain, Jim Furyk, who looks highly likely to contend. Jim's form figures here read 11-3-6 and he finished sixth last week in Mexico, where his stats were superb, so I was more than happy to take [50.0] about him winning again. Mr 58's last victory came just up the road three years ago when he won the second of his two RBC Heritage titles at the aforementioned Harbour Town. This is right up his alley and he's in-form. Patton Kizzire lost his way over the weekend in Mexico when defending last week, thanks largely to a wayward driver. There's more room here off the tee and given he's a winner of the aforementioned Sony, this is a venue that looks sure to suit. I thought he was too big at [120.0] and finally, I've taken a small chance on Sweden's Jonas Blixt, who's a quite brilliant putter on his day. He too put himself in to the mix last week with a superb 63 in round two but he hasn't contended in ages and he fell away on Saturday. That might just have got the juices flowing and [300.0] was too big to ignore. I'll be back on Thursday with the In-Play Blog.